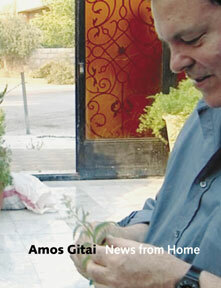 The book's starting point is Amos Gitai's most recent film, News from Home (2006), the final part of the House trilogy. House (1980) was the first film by a filmmaker whose body of work meanwhile includes more than forty fiction and documentary films and who was to become a unique and controversial cinematographic chronicler of Israeli and worldwide social and political developments. This is the first publication on the work of Amos Gitai to appear in Germany, bringing together a number of incisive essays and conversations by writers such as Jean-Michel Frodon, Annette Michelson, Irma Klein, Paul Willemen and Gitai himself - as well as a complete filmography. It provides an overall insight into a body of work that consists of interrogations, as personal as they are political, of questions of exile, migration, war, geopolitics as well as mythologies, religion and utopia. While this book's starting point is the documentary works such as House, it similarly explores the latest, internationally successful feature films such as Kadosh (1999), Kippur (2000), Promised Land (2004) and Free Zone (2005).